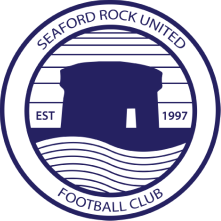 Unquestionably one of the most naturally talented players the club has seen in recent years, the speedy attacker began his Seaford as a holding midfielder with the second team in 2009, but has gradually moved upfield where his pace and flair can make life difficult for any opponent. ​His leap and timing make him a real aerial threat despite his diminutive size, but his real strength is on the deck, where he can terrorise opponents with his instant control and dribbling. His most memorable goal for the club was when he smashed home a late winner to complete a final day recovery from 0-2 against DCU in 2012, albeit it wasn’t enough to save the club from relegation from Major 1. During the 2015/16 season, he moved from the wing to a centre forward position, and he netted a couple of memorable long-range strikes away at Edenderry and at home against Terenure CYM.